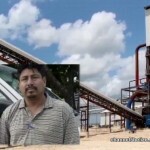 The Santander Sugar Group in the Valley of Peace area in the Cayo District is in serious trouble with the Ministry of Trade tonight after the export company started selling sugar domestically. The company has EPZ status meaning they get certain exemptions on the clear understanding that they can only export. But, they've been doing more than that. 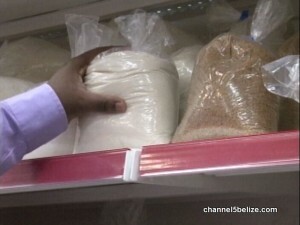 This is a photo of Santander's Plantation White sugar being sold at a store in Orange Walk. It's presence on the local market has infuriated cane farmers - who are already going through a difficult year with historic lows in sugar prices. Now they say they are facing competition in a market from a company not licensed to sell locally. 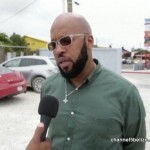 Here's what Fred Ortega of the Belize sugar Cane Farmers Association told CTV-3 in Orange Walk:..
"When it was presented to us that Santander is coming into the country, because when we got to know that Santander is coming, is because they were already building. But questions were asked to the past ministers of agriculture and questions were asked to the present minister of agriculture is Santander would be granted permission to sell sugar to the local market and the answer was no. Because the sugar that they will be producing will be sugar that will be sold out of the country - to Guatemala or to other countries Not into the local market and now that this is happening, it really concerns us, because then its something that is coming behind our backs - like backstab to the North. I will say to the North, because not only to the farmers. This creates a negative impact to us in the industry with the prices we presently are experiencing and with this happening sugar from other companies is flooding the market, then it reduces the amount of sugar that is being prepared by BSI for the local market." "I want to be clear, the only way they could sell that sugar, that means that they got permission and we really need to know from when, where and how that comes from." Minister of State in the Ministry of Trade Tracy Panton today told us that Santander, quote, "does not have permission to sell plantation sugar locally". She says the company applied for a waiver to sell locally last week Friday - and that waiver has not been reviewed yet. She warned that they could face a fine, or government could go as far as rescinding their EPZ status. She says Government also has the option of confiscating the Santander sugar that is currently on the local market - which is already being looked at in tandem with the customs department. 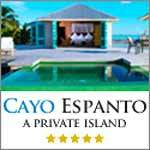 She added that Santander has been advised of the violation, quote "in the strongest terms." But, under what grounds are they applying for an EPZ waiver? Minister Panton explains that Santander would like the opportunity to sell to the local market and is requesting a waiver to supply 15 % of local sales. A representative for Santander said, quote, "Santander is just adapting to different markets. It was always the plan to sell a small amount locally and under the EPZ regulations any company under this program can sell some part of its production locally paying the taxes that are required. 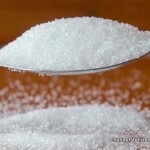 Prices of sugar domestically is regulated by the government. So the price will be the same as the sugar sold by BSI." End quote. The company says that at this time, there is no further delivery to the local market, pending sorting out the waiver with the ministry. They are applying to sell 1,500 metric tonnes of brown sugar and 3,500 metric tonnes of white sugar into the local market which represents 30% of local consumption. The company rep adds that Santander has been meeting with the ministries over the last week. News Five understands that the supplier of the Santander sugar is DV Distributors, which may be connected to the Vega Empire. Santander’s move to proceed with production and the retail of plantation white sugar appears to be deliberate, since government reiterated its position again, via a stronger letter sent to the company on May eighteenth. Trade Minister Panton says punitive measures are being considered in light of what has happened. Santander, the Spanish multinational operating in Valley of Peace, is again in hot water, this time for illegally producing and introducing plantation white sugar into the local retail market. Tonight, the Comptroller of Customs, Colin Griffith, has instructed customs posts in Corozal, Cayo and Orange Walk to confiscate the Santander sugar on the premises where they are found. It means that Santander won’t be able to sell or move the sugar until further notice. 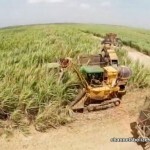 Cane farmers in the north are up in arms, despite the decision taken by government to confiscate up to seven hundred and fifty metric tons of grain from shops across the three districts, which had been sold to one distributor. That quantum represents roughly eight percent of the annual tonnage produced by A.S.R./B.S.I. for local consumption. 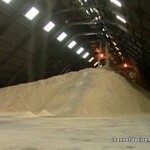 According to the terms of the Export Processing Zone certificate that Santander had been granted, the production of mill white sugar without the expressed permission of government is prohibited. 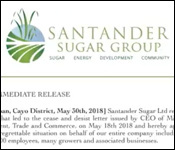 The Ministry of Trade and Investment caught wind of the matter almost two and a half weeks ago and, upon confirming that Santander sugar was indeed on the open market, instructed the company to cease and desist. That order was ignored in the face of clear guidelines set out by which Santander should have sought consideration. 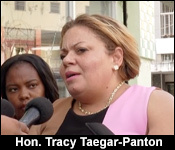 Following today’s lengthy Cabinet meeting, News Five spoke with Minister of State Tracey Panton who shared firsthand government’s stance on the issue. Minister Panton says that Santander has met with the Ministry of Trade, but is also requesting a meeting with the Ministry of Agriculture, even though it has already violated the EPZ in retailing plantation white sugar. Santander, since establishing itself as a going concern in Belize back in 2012, has remained controversial. 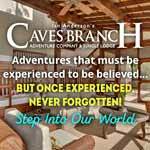 It ran afoul of environmental compliance in 2012 when a subsidiary, Green Tropics, razed a swath of land through the Labouring Creek Jaguar Corridor Wildlife Sanctuary. 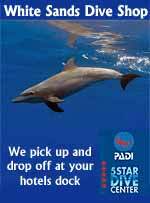 It was fined one hundred thousand dollars by the Ministry of Environment. In another unfortunate episode, the company destroyed a huge acreage of vegetables on farmlands use by growers in the Valley of Peace community. Peppers, cabbages and other vegetables were all singed when a crop-duster flew overhead and sprayed chemicals on the plants below. 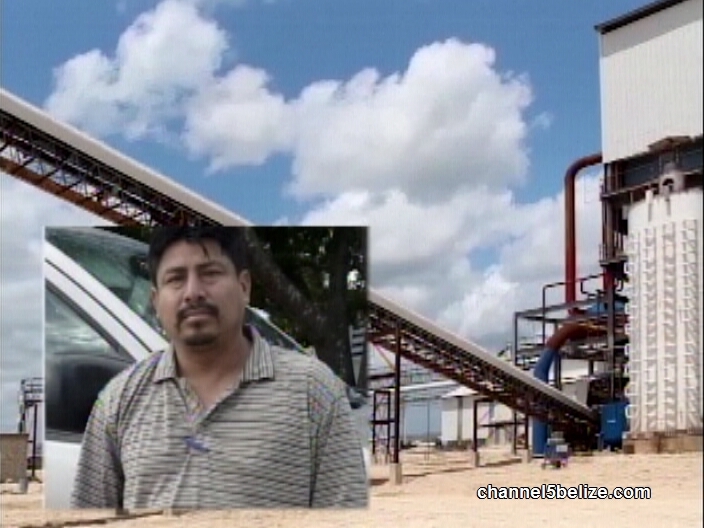 Santander Sugar Limited has responded to the Government of Belize. In a press statement issued this evening, the sugar producing company apologizes and regrets the actions that led to the cease and desist letter issued by the Government. In the release, Santander explains an amendment to the EPZ was filed in February and whilst waiting for acceptance, Santander began to explore market opportunities within CARICOM. 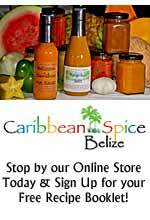 The company says it failed to realize that an additional waiver for the local markets was needed. Santander says that it will quote, “comply with all local authorities and recall all the sugar that has been distributed thus far.” End of quote. As for its waiver request, Santander is asking that its submission be reviewed and the waiver granted as soon as possible. 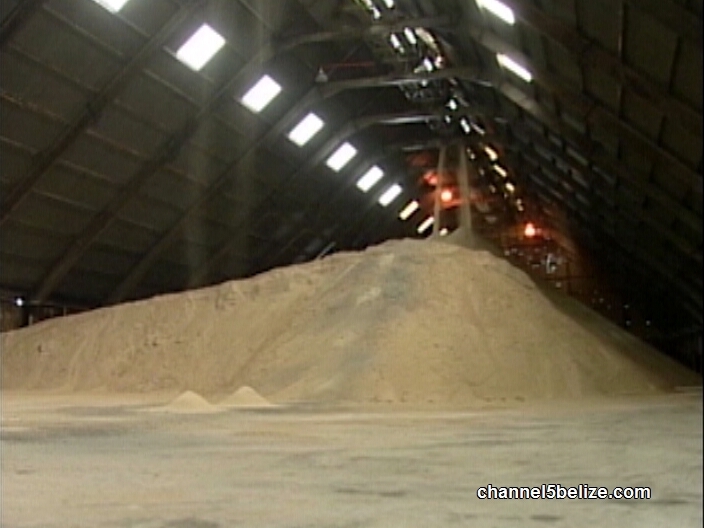 The company says that the local sugar market should be shared by all Belize based sugar companies in a fair and equitable fashion especially since world sugar prices are falling. 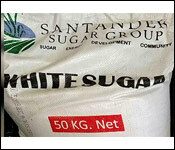 The release of white sugar in the local market by the Spanish company, Santander, has thrown the local sugar industry into a tailspin. On May eleventh, it was first detected that through DV Distributors, the white sugar was retailing in stores in the Corozal, Orange Walk and Cayo Districts in violation of Santander’s Export Processing Zone Certificate. Five thousand farmers represented through three associations in the north came out strongly against the move and are now stepping up their efforts seeking a rejection of Santander’s application for a waiver to allow the company to sell three thousand five hundred tons of white and five thousand five hundred tons of brown sugar domestically, as well as to market it in CARICOM. The associations argue that if granted, the waiver will affect their livelihoods because it will cause a reduction in the price of cane paid to farmers and therefore should be rejected. Furthermore, that Santander should be fined for violating the terms of its EPZ certificate. News Five’s Isani Cayetano looks at all the angles in the following report. The untimely introduction of plantation white sugar onto the domestic trading floor by Santander presents an imminent threat to the local sugar industry. In the days ahead, the Export Processing Zone Committee is likely to consider an application by the company for a waiver to sell milled sugar internally. The concern, should that contract be granted, is the adverse effect of competition on existing price regimes elsewhere within the industry. William Neal, Communications Director, A.S.R./B.S.I. A.S.R./B.S.I. 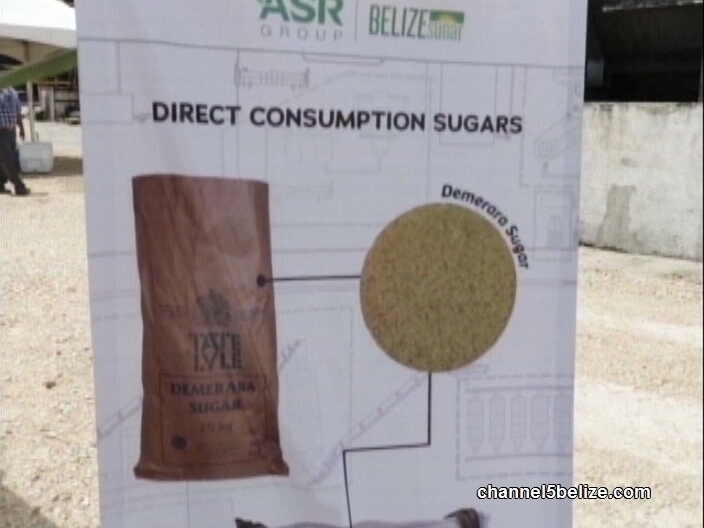 is only one of several key stakeholders in the large-scale production of sugar in Belize. 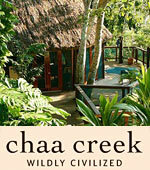 Others include a trio of associations representing the interests and welfare of cane farmers. Together, they have written the EPZ Committee recommending that Santander’s application be rejected. 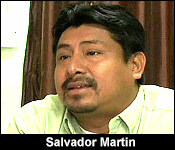 Salvador Martin is the Chairman of the Belize Sugar Cane Farmers Association. On the Phone: Salvador Martin, Chairman, B.S.C.F.A. According to a letter written by the joint associations, granting Santander permission to sell three thousand, five hundred tons of white sugar and one thousand, five hundred tons of brown sugar in the local market will see a reduction in the cane prices paid to farmers. 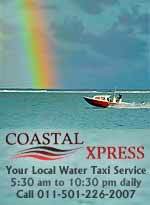 The net loss, based on the calculation per ton of cane, is one dollar and sixty-five cents. Those figures have been presented to the EPZ Committee. Santander coming onboard with white and brown sugar not only threatens the livelihoods of the thousands of cane farmers operating in northern Belize, it also jeopardizes the status quo based on the existing Sugar Act. That direction is a move toward direct consumption sugar. 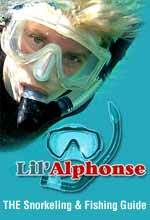 That preparation does not include the likelihood of competition on the local front. Reporting for News Five, I am Isani Cayetano. 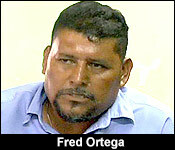 The Corozal Sugar Cane Producers Association says that Santander Sugar’s deliberate action to sell white sugar on the local market is quote, “only the preview to further their quest to possible access/approval to be able to participate in the local market which is clearly denoted in the most recent waiver application on the EPZ committee for the sale of sugar into the local market.” End of quote. The association’s Chairman, Vlademir Puck, says the cane farmers strongly oppose Santander being granted the waiver, stating that it will lead to a potential revenue loss to the 5, 400 cane farmers. The Association says that it will keep a close eye on the Government and Santander as dialogue continues. Earlier in the news, you saw the Albert Division’s Area Representative, Tracy Panton, out on Albert Street assuring business owners and residents living in the downtown area that the cops will be taking action to stop the recent spate of armed robberies. We also asked for an update as the Minister of State in the Ministry of Trade and Investment Promotion about the situation with Santander, who illegally sold sugar on the local market. The 3 cane farming associations from the north are calling for the Government to hand them the maximum fine under the law as a penalty for the violation. These farmer associations have also insisted that the Government’s EPZ committee should reject Santander’s application for a waiver to sell white and brown sugar on the local market. In their lengthy release, the associations said, quote, “"approval of the waiver would mean destroying the financial livelihood of thousands of cane farmers…while supporting the…profits of the multinational, Santander," end quote. "The government has not sided at all with the multinational, I don't know where that sentiment comes from. There is a process that we need to take so that we can gather all the relevant information about what happened and how it happened so the appropriate action can be taken against the person who did wrong. Santander had no permission or permit or waver from the government to sell any of its products on the local market. It violated its EPZ status when it did that and so the EPZ committee will meet. The evidence is obviously glaring against Santander but we have to allow the process to take place. We have listened to the cane farmers associations; in fact my CEO is in the north currently having meetings. We will speak with all stakeholders. 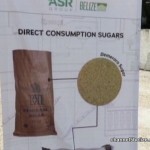 The sugar sector is a very important economic sector for the country of Belize and we can't ignore that. Santander contributes to the export earnings from sugar to Belize and so we're trying to be fair to all parties concerned in particular to our farmers." "What effect are you able to say this violation of the EPZ, will that have or can play into the approval, the final approval of the application that's in front of the EPZ committee?" "You see I can't speak for the EPZ committee. I know that the ministry itself will provide its recommendations based on its findings and clearly there is a violation and a very serious violation and that I am sure will be taken into account by the committee." "There are repercussions, they will be fined, there will be other sanctions against Santander but I need to give the committee its room and time to do its work. We have to be fair and Santander is fully aware as you read in their press release that they violated their conditions of doing business in Belize and that will be dealt with the strictest letter of the law." "Some think that the government is being light handed, very easy on Santander." 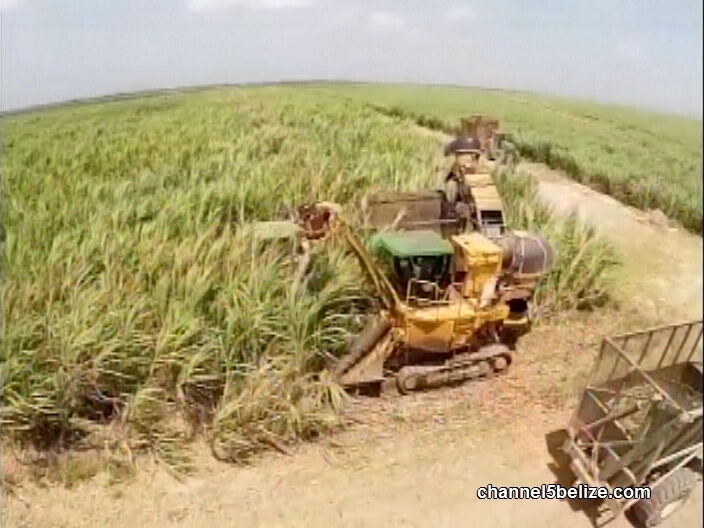 The EPZ Committee has not made a final decision on what penalty Santander will face for their violation, and the application for their waiver to sell sugar in Belize. On Tuesday, 12th May 2018, the Export Processing Zone Committee (EPZC) convened a meeting in respect of (1) a request made by Santander Sugar Limited, a Belizean EPZ Company, for a waiver to be granted allowing the company to sell approximately 5,000 tons of direct consumption sugar and 2,000 tons of molasses in the domestic market; and (2) violations committed under the Export Processing Zone Act, Chapter 280, Substantive Laws of Belize, by Santander Sugar Ltd.
i. 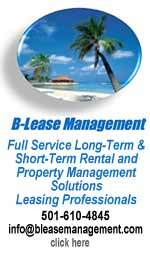 Will the waiver aid the economic development of Belize? ii. 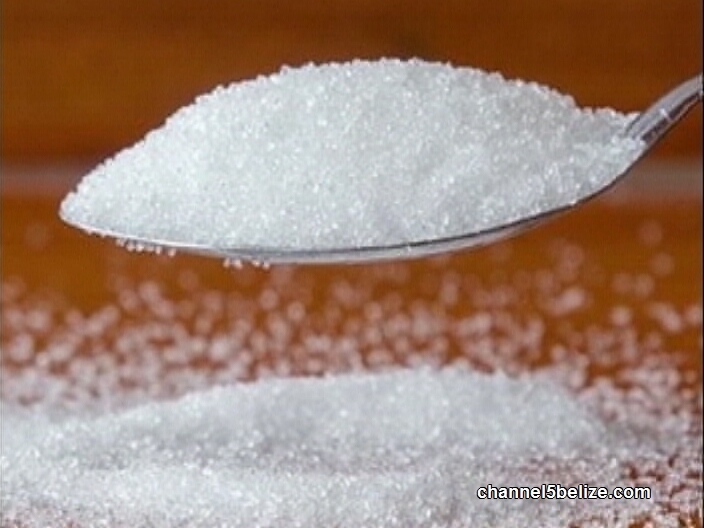 Will it relieve a shortage of sugar in the domestic market? iii. 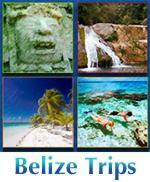 Does it otherwise seem to be in the interest of Belize? Based on the consultations and the information provided, the main conclusion from the assessment was that there is not any shortage of sugar in the domestic market. Based on this, and other findings of the assessment report, the EPZC decided that market conditions do not warrant the waiver at this time, and hence, the committee was unable to favourably consider Santander’s request to sell sugar and molasses in the local market at this time. Additionally, the EPZC at its meeting reviewed several violations made by Santander Sugar Ltd. under its Certificate of Compliance and Operations Contract, and in consultation with the Attorney General’s Ministry, decided to impose the maximum fine applicable under the EPZ Act. 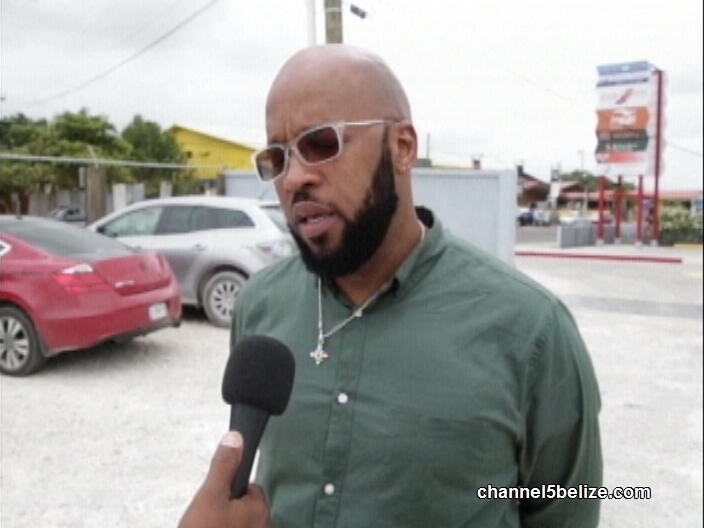 Further to the fine, the Ministry of Investment, Trade, and Commerce has formally notified the company of the need to abide by all the Laws of Belize, and that any further infractions can result in the revocation of its EPZ status.